Acid-washed jeans, Madonna songs, neon accessories and television's Dynasty marked the early 80s -- a time when Weston's Class of ‘83 left School Road for college and other life endeavors. 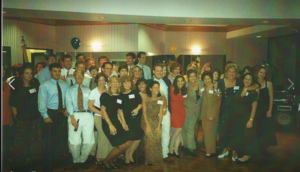 Class members will revisit their youth at their 35th Weston High School Reunion on Saturday, October 13 at the Weston Field Club, 38 Ladder Hill Road South, Weston at 6:30 p.m. Many former Westonites have returned to raise families back in town or Fairfield County at large. Classmates near and far are invited to celebrate this milestone and help spread the word.